Elizabethan ruffs and hats for a forthcoming production- a play titled RIP Mr Shakespeare. Brenda made at least 15 ruffs and just as many Elizabethan hats, assisted by Sheila Morris, Karen Scott, Vicky Williams and Hilary McCormack. 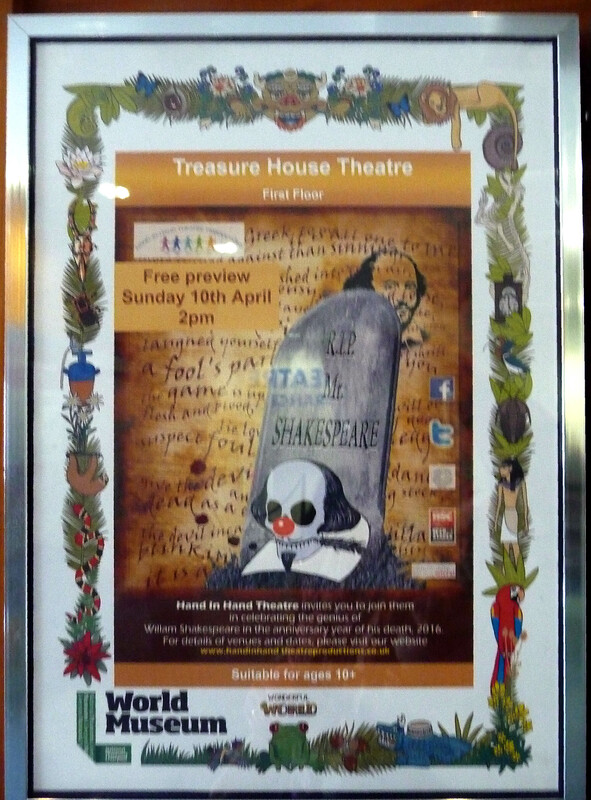 This was much appreciated by the theatre company who invited us all to the first performance of RIP Mr Shakespeare. 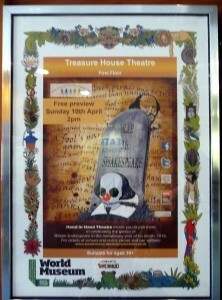 This was held in the Treasure House Theatre, The World Museum, William Brown St, Liverpool L3 8EN. The play was very funny and enjoyed by all.